Welcome to the Member Value & Engagement Hub! 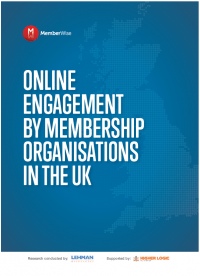 Our Value & Member Engagement Hub has fast become the ‘go to’ online resource for associations looking to improve and/or optimise member value and engagement (online and offline). We welcome over 500+ visitors each month and our network is now recognised as the leading authority on this ciritcal topic area. We hope you enjoy exploring the member engagement toolkit, videos, research reports and blog articles below! 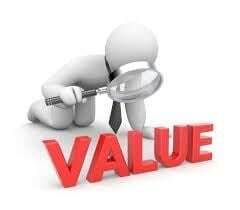 Why focus on member value & engagement? In return you will forge a much deeper relationship with your members and this will create more loyal members. The outcomes from this will include improvements to new member acquisition, existing member retention, member participation, member experience, improved conversions from passive members to advocates, and increased future potential growth. Who creates content on the Member Value & Engagement Hub? This resource was created and continues to be quality assured by a panel of senior association/membership professionals responsible for member engagement at leading UK/EU associations. Can I contribute content to the Member Value & Engagement Hub? Yes. This is an evolving online resource, so please Contact Us if you would like to suggest or signpost member value and/or engagement focused content on other websites. Our QA Group will review any suggestions and if confirmed as high quality we will add below! Introducing the Member Value 2025 Project (#MV2025) – the leading (free) practical resource for membership and association professionals looking to take a more structured approach to optimising and enhancing member value. We recommend that you allocate at least an hour to download and read through this resource. You should also download the related templates and Best Practice Lists as they complement the resource. Once you have familiarised yourself with the content (inc. member value actions and process) we recommend that you organise a team meeting to discuss how you will address member value within your organisation. How can I trust the information and advice contained within this resource? The content has been fully quality assured by 40 membership/association professionals (responsible for member value and engagement) at leading membership organisations and associations. Are any Member Value & Engagement Boot Camps planned? Yes. Each half-day boot camp will take place in Central London and will cost £249 (excluding VAT) to attend. Delegates will be provided with a ‘deep dive’ on member value and engagement fundamentals, a more structured approach that will enable a more strategic approach, the opportunity to create and road-test your currnet/proposed member value propositions/statements and member engagement strategies/plans. Only 20 delegates will be able to attend each event and places will be allocated on a first-come first-served basis. You can register an interest here. Is further member engagement focused help and support available? Introducing the MemberWise Member Engagement Toolkit. The toolkit is the leading (free) practical resource for membership and association professionals looking to take a more structured approach to optimising and enhancing member engagement. The content has been fully quality assured by 17 membership/association professionals (responsible for member engagement) at leading membership organisations and associations. Since launch this resource has been downloaded an incredible 9,000+ times. We recommend that you allocate at least 30 minutes to download and read through the toolkit. You should also download the Member Engagement Strategy template and Best Practice List below as they complement the resource. Once you have familiarised yourself with the content (inc. member engagement actions and process) we recommend that you organise a team meeting to discuss how you will address engagement within your organisation. Please click the report icon on the right to download your copy of this great new free report today! Note: A range of popular definitions can be found in the Member Engagement Toolkit 2017 below. 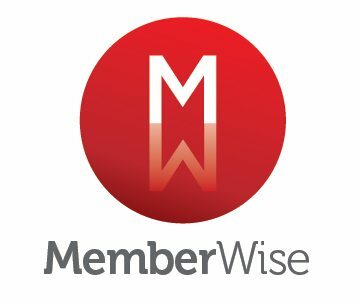 Visit the Events section of the MemberWise website to see our growing programme of national conferences and events. MemberWise Network Chair, Richard Gott, is working with a number of membership organisations and associations to take a more structured (and inclusive) approach to member engagement optimisation/management. The results include increased member recruitment, improved member retention, optimised cross and up-sell of content, products and services. Richard from MemberWise conducted a member engagement optimisation project at the RCoA. This critical work involved evaluating current engagement levels, providing practical engagement focused recommendations and scoping the required skills/competencies of a new Member Engagement Manager role. He participated in the recruitment/selection process and is working with us to ensure a structured, robust and informed approach.